I love how the color is treated in these photos. 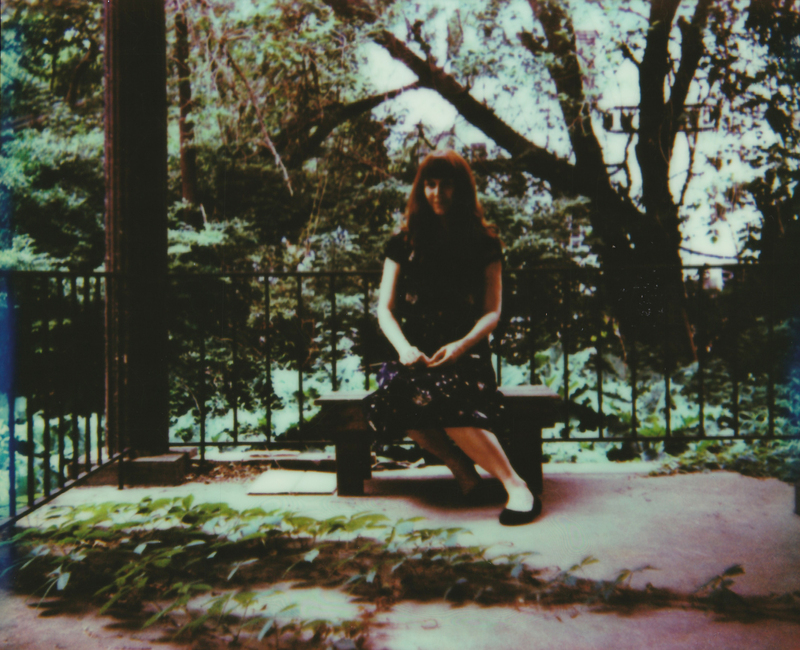 thanks, dude – it’s all in the light (and the unpredictability of instant film, which i love!). The first photo is incredible! I can’t believe that Hilton is closed. My husband & I stayed there once, in 1996, I think. They upgraded us to the top floor and we felt positively rich. thanks, lizzie! when we saw that house on our way to my old house, i made jeff pull the car over so i could take photos. and yes, sadly, the hilton is closed. it’s supposed to be under ‘renovations,’ but nothing much has been done for a few years. The house on 11th is amazing–I like how the red hue blends in with your hair. The second photo is beautifully done too–the overgrown patio/porch. St. Michaels is a tad forbidding! And the blueness you mention, the overcastness of everything. hi michael – the house is incredible. after we took a peek around on the property on sunday, we google-viewed it and just a few years ago it had a beautiful wooden door and the original windows still intact. i’m curious to know what happened since then. thanks for stopping by! St. Micheal’s looks crazy scary- I wish we could get in there! After I scanned the photos, I looked for ghosts in the windows. I’ll keep checking them! I went to grade school in Homestead. St John’s. I think it was on 10th or 8th Ave. We spend some time at St. Michael’s as well. This post brought back memories for me. Lovely. We spend so much time at the Library over there as well. thanks, lady! i have a soft spot for the library – the house where we lived is across the street from the park. it’s cute, but would need a lot of work. st. michael’s is closed now too, i think, but the convent looks like it was turned into apartments. All of those places are long, long gone. I should drive over there and check out how different it all has become. It has been far too long. It is also amazing to think that we could have crossed paths way back when. My friend Ralphie lived on the corner of Amity and 10th too. It would be too wild if somehow our parents all knew each other or connected in some way. 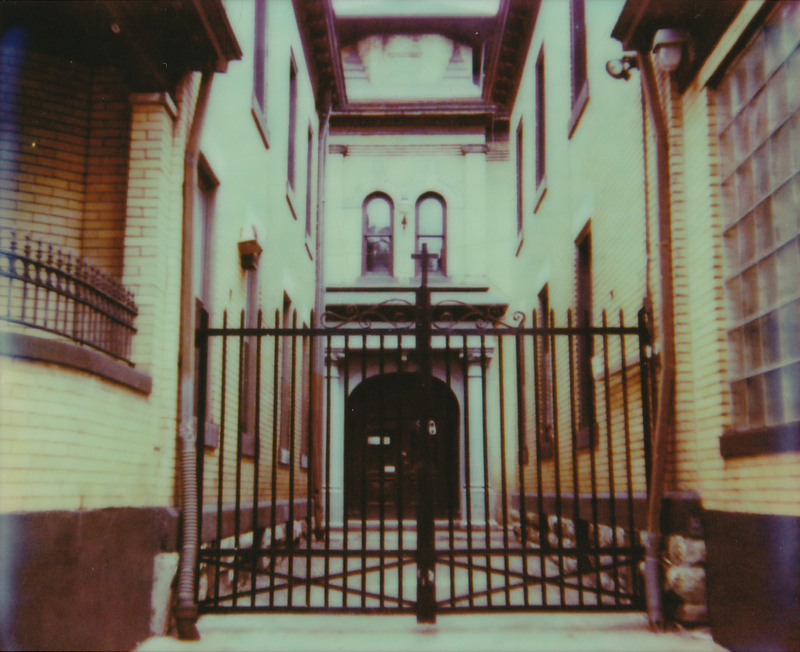 Also: I promised you a Pola-date, so maybe this is the area where we do the shoot: Homestead, Duquesne – the Mon Valley.